Callaway is the leader at using carbon composite materials to enhance metalwood performance. Our proprietary triaxial carbon composite is extraordinarily light and strong, saving substantial weight. We�ve redistributed that weight into the head�s perimeter to significantly increase MOI and forgiveness, which helps preserve distance and direction on off-center hits. 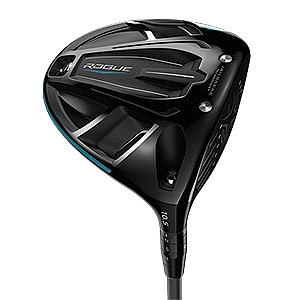 Rogue has the largest triaxial carbon crown of any Callaway driver ever.